Window treatments are a great product to integrate with your home automation system. In Miami, with the bright sun moving across the sky during the day, your solar shades and blackout shades can be programmed to act in synchronicity! Using light sensors in tandem with your motorized shades, can allow for the automatic raising of a solar shade when the light source is too low. There are several applications and software programs that can be used with the Somfy RTS Universal Interface. If you live here in Miami or Miami Beach, we can send a representative to see what solar shade or blackout shade solution will work for you. 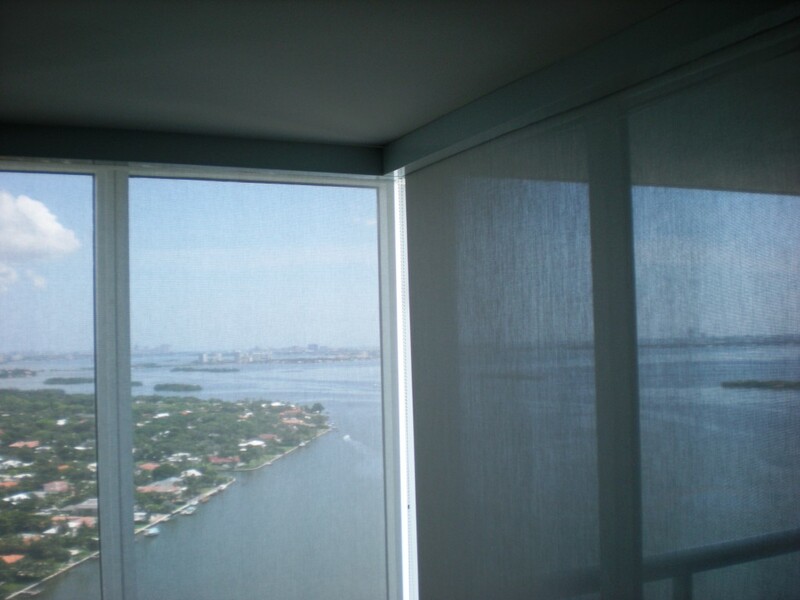 We also serve the Key Biscayne area for motorized shades and all other window treatments. Brown Design had been installing blinds in the Miami area for over 10 years, and we are licensed and insured.